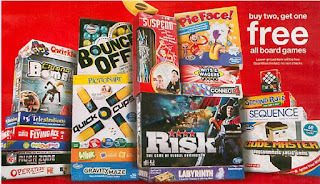 For the next few days we have a great deal on Board Games with a B2G1 FREE available both online and in stores. No special promo code or coupon is needed – the lowest game will come up free either at the register or in your online cart. 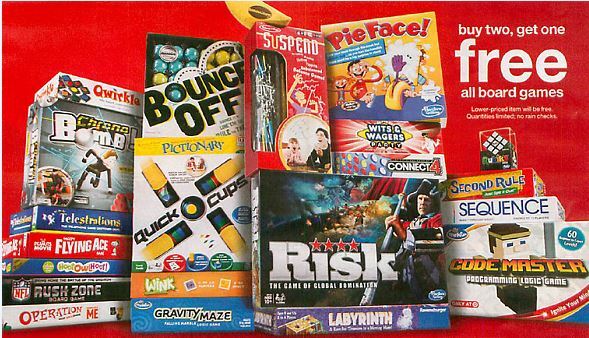 If you are shopping online, be sure and take a look around at all the games on sale and if your purchase totals $50 or more, you can get an extra $5 off with code TGTA39R9. And remember, shipping is now FREE sitewide on Target.com with NO minimum and if you have a REDcard you will also get an additional 5% Off. This is a great deal! I love Target, and I especially love when I can combine Cartwheel and other offers. I have GOT to learn how to use that Cartwheel app. I am constantly forgetting about it! Omg now this is a steal! Definitely heading to target to pick up some games! What a great way to get all of your Christmas shopping knocked out of the way quickly and at a great price!